Today, digital technologies and the Maker movement are determining the new challenges facing design and creation. The new fab labs, hackerspaces and makerspaces are where the potential of this new mode of expression is now being explored. 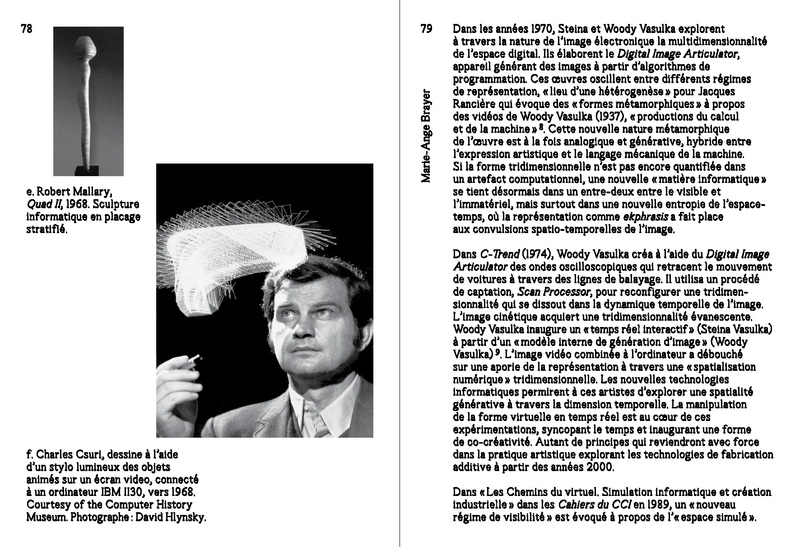 On the occasion of the exhibition Imprimer le monde, Éditions HYX and Éditions du Centre Pompidou investigate in this singular book the emergence of new 3D-printed artifacts in the domain of artistic creation. 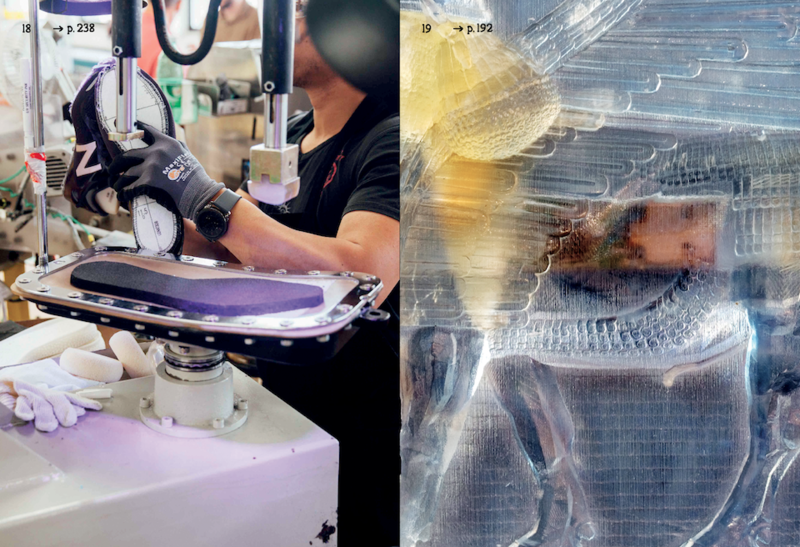 Digital technologies have thoroughly disrupted the design and fabrication of objects, transforming the practices of designers, architects and artists in the process. What is the author’s status in an era in which these “non-standard” objects are both unique and industrially produced products? What is the status of this “3D-printed” object, which is simultaneously everyday object, technological objet, work of art, design object, and architectural prototype? 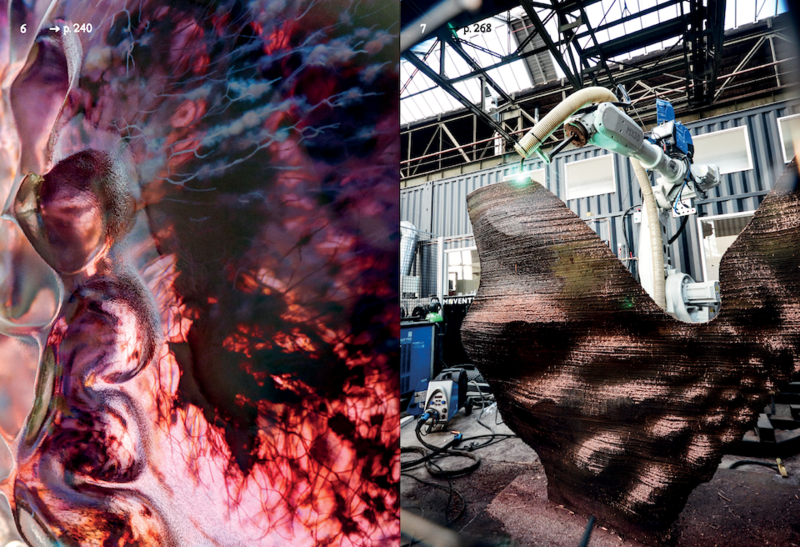 From the micro scale (printing living cells) to the macro scale (printing architectural structures on the scale of 1:1), from the visible to the infra-visible, the processes involved in additive manufacturing raise numerous questions. 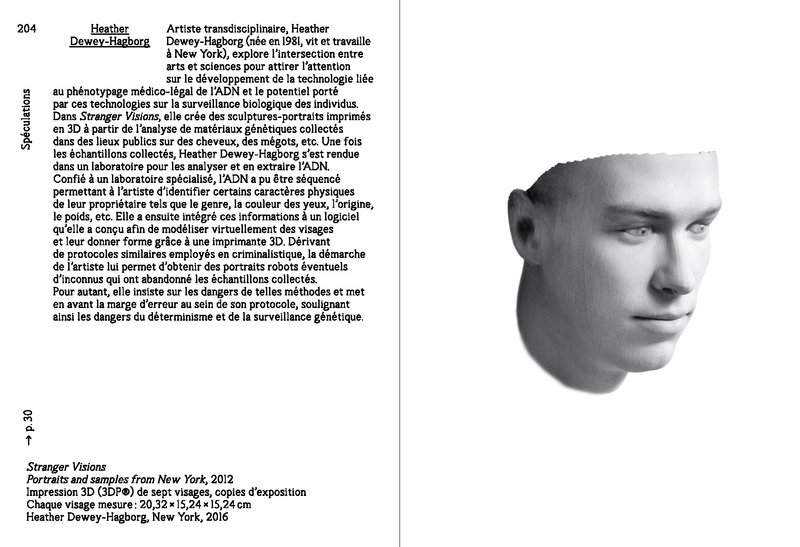 This book, developed under the direction of Marie-Ange Brayer, includes 5 essays and presents over fifty projects of artists, designers and architects, organized into five themes (Speculations - Design, new process - Prototypes - Acoustical spaces – New materiality) underpinned by a rich bibliography of resources. 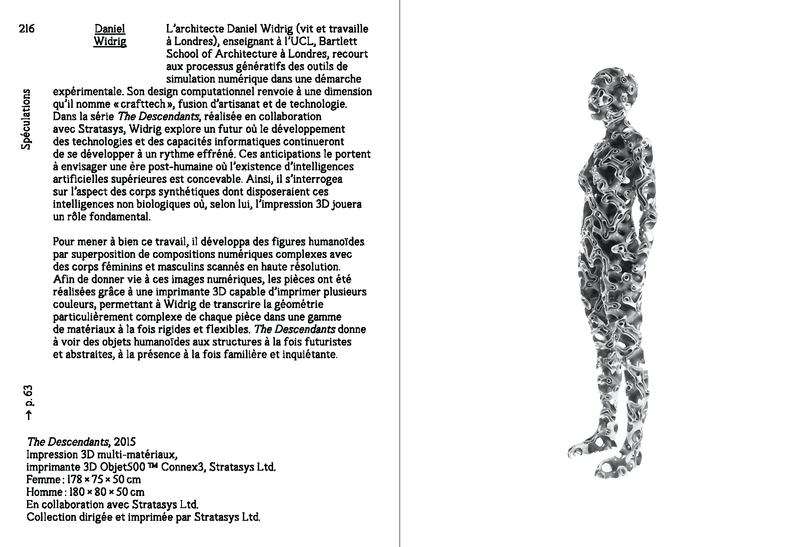 Experimentation with new forms of writing and reading developed by Éditions HYX through its Script collection (Art ++, Artisans numériques) and its Graphes collection (Anna K, Kavan.land, Ligatura, The Bookfighting book), led the publisher to participate in this project with Élise Gay & Kévin Donnot, of the E+K studio. Their design for the book’s layout, echoes the 3D printing of objects whose production results from the motion of an extrusion tool, laying stratum by stratum and forming piece by piece, rather than the repeated printing of a unique matrix. This book implements these mutations through the use of the movement of a virtual tool following a preset outline for the design of each letter. The properties of this tool (angle, roundness, thickness) are programmed to evolve with each page, thereby continuously renewing the form of the characters. 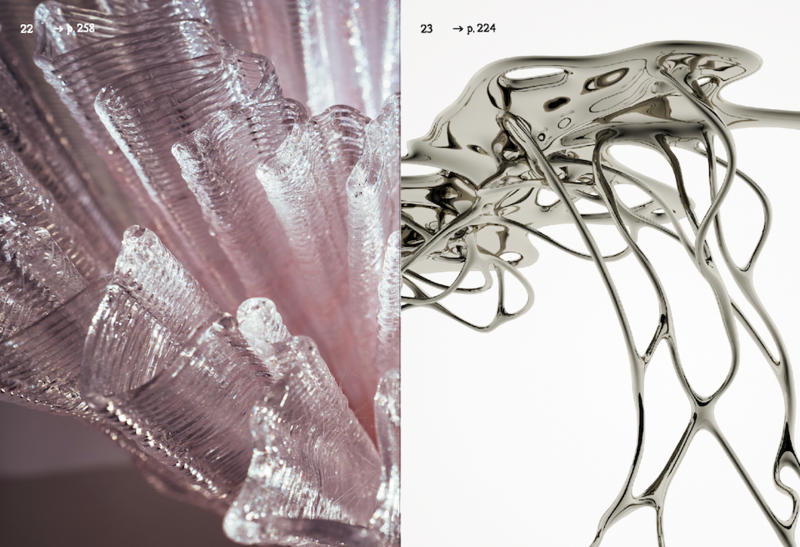 These variations question the notions of exemplarity in a series and of generative design. In parallel, they convey a history of typographical forms.